After signing a distribution deal with Big Time Gaming last October, Relax Gaming Limited, the supplier of online casino games and platforms, has announced that their new partner has recently made a new six-reel video pokie available to players in The Final Countdown. The organisation, based in Malta, held an official press release and in it described the new title …. 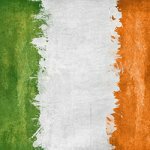 Gambling regulation is big news globally, and now it looks like Ireland is set to experience some changes too. After a five-year delay, Ireland’s players may soon find out what the territories new gambling legislation looks like. The two amended bills, the Gaming and Lotteries Bill and the Gambling Control Bill, may soon be published after undergoing amendments to update …. This Wild West inspired online pokie is the latest addition to Realtime Gaming’s library. 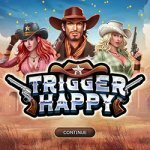 The modern graphics combined with two progressive jackpots and a large range of paylines make Trigger Happy a good choice for those wanting to try out something new. The game consists of 5 reels as well as 30 active paylines. As far as payouts are concerned, …. 300 Shields – An Extreme Online Pokie From NextGen Gaming. The original 300 Shields, which was one of NextGen Gaming’s most popular online pokies has recently undergone an overhaul and been released in a new Extreme version which offers wins of up to 17773x the stake. The graphics have, for the most part, remained the same as the original; with the pokies’ theme being based on the ancient Greek Spartan …. 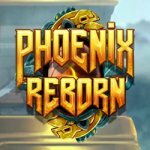 Phoenix Reborn is an ancient Aztec-inspired pokie that offers superb graphics and a range of different features designed to keep players entertained. The developed has a number of pokies out on the market already, and their latest game is a testament to the experience that they gained in recent years. The game area is large, and set over 5×6 reels …. 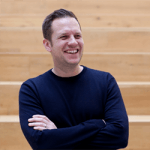 Online operator BetVictor has recently appointed former Betsson Group employee Matt Parkes as their new director of creative and brand. Parkes will be assuming the responsibility of building their current brand success, while also ensuring consistency across all of their channels, as well as brand propositioning, media spending, creativity, and communications. Parks has been a part of the industry for …. Mystery Reels: Megaways is the latest addition to the current Megaways craze that is sweeping the online world, and Red Tiger Gaming’s newest pokie is the newest machine making use of their new technology. It’s a fruit-themed pokie that boasts large potential rewards, and should be a welcome addition for fans of the trend. The pokie comes with 6 reels …. 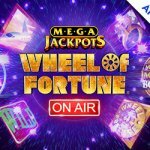 Mega Jackpots: Wheel of Fortune On Air is the latest online pokie from IGT, and sees a new addition to the Wheel of Fortune series of games. While there have been several other releases which have focussed on the same gameplay and theme in the last few months, Mega Jackpots still stands out as a stand-alone game that might be …. Book of Immortals is the latest ancient Egyptian-themed pokie to be released by gaming supplier and operator iSoftBet, and the company has decided to go for a tried-and-test layout that should prove to be popular within the market. The graphics are simple enough to have been taken from a comic book, but the colourful backgrounds and stylized symbols should prove …. 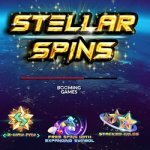 This brand new pokie, which is cited for release sometime in March 2019, is a space-themed game developed and distributed by Booming Games, who have been hard at work expanding their current library of games. The game has a mixture of classic and space themes, and sees the symbols as a variety of previous gems on a background overlooking the ….